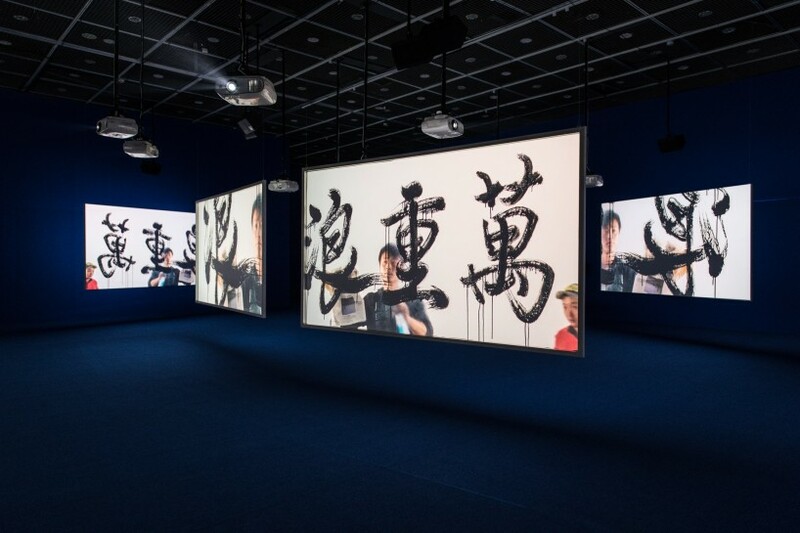 The nine-screen installation of Ten Thousand Waves continues its world tour as part of the exhibition (3 March – 6 May 2018), curated by Huang Hsiang-Ning. The artworks on view in The Rebellion of Moving Image are based on realistic spaces, incidents, and texts, with meticulously arranged audio-visual components used with multiple references of location, history, literature, cinema, and legend applied to connect with a broader space-time context. Meta-critiques on reality are engaged in through fictional and non-fictional cross-examinations and interactions, with new realities also produced. Five Taiwanese and international artists are invited to showcase their artworks in this exhibition, using poetic expressions to intervene in reality, with multi-image narratives formed. This 'rebellion' doubts and resists power structures' one-sidedness and established-ness that are observed in capital flows, population migration, religious and national powers. A press conference will be held between 2-4pm on Friday 2nd March followed by the public opening from 7pm. Special event: artist talk with Isaac Julien on Saturday 3rd March, 10.30am-midday at MOCA Taipei.